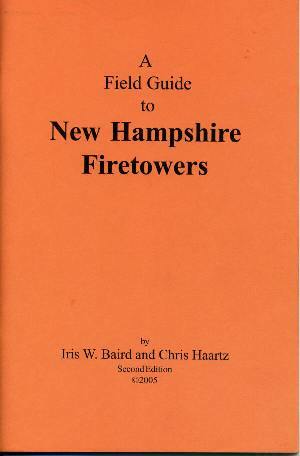 Field Guide to New Hampshire Firetowers, by Iris W. Baird and Chris Haartz, 2nd edition, 2005. Back in print - a fascinating little guide with history, descriptions and photos for 25 existing towers across the state, plus a checklist of former firetower sites. 64 pp, 5 1/2" x 8 1/4."